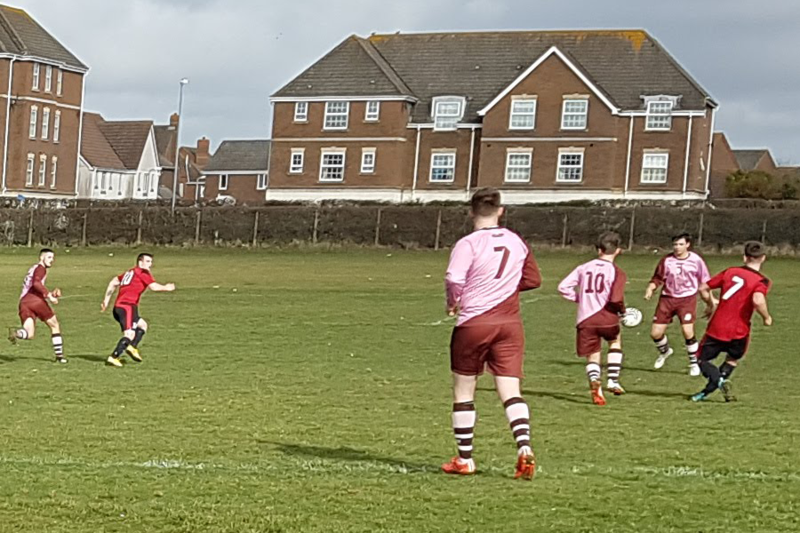 South Coast Athletico’s penultimate league game of the was an away match against Bexhill Broncos. 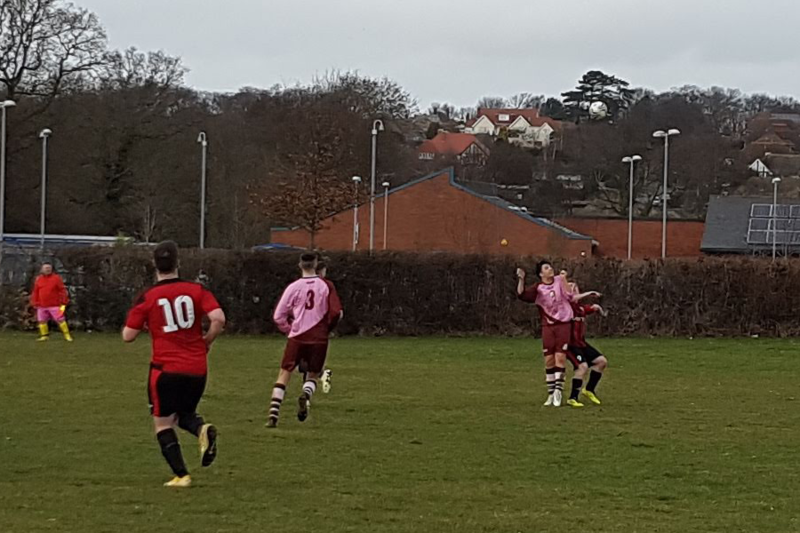 Victory for the Chopbacks would bring a second place promotion opportunity within touching distance as it would leave third place Victoria Baptists needing to win both of their final fixtures and score some 38 goals to pip South Coast to Division two football next season. The game kicked off under a grey cloud filled sky, the pitch was rough and lumpy with rusting bent goal posts that would have looked at home in a scrap yard. And it was a frustrating game was for South Coast playing well below their best. Opportunities were sparse for both sides and the first half played out a scrappy nil-nil stalemate. The Bronco’s team celebrated the half time whistle as if they had won the match which was a huge compliment to the Chopbacks. 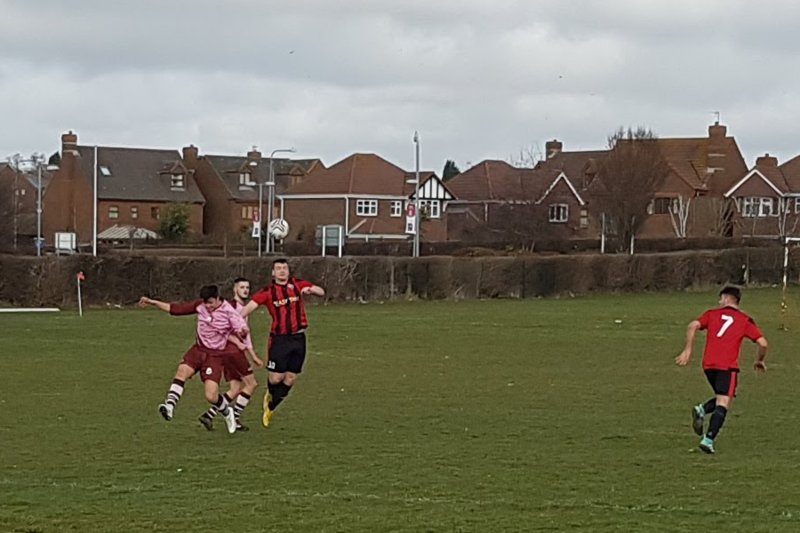 The second half carried on in the same vein until around the 60th minute when Athletico began to find some form, threatening the hosts with several half chances which were only kept at bay by a couple of excellent tackles from Broncos defence. 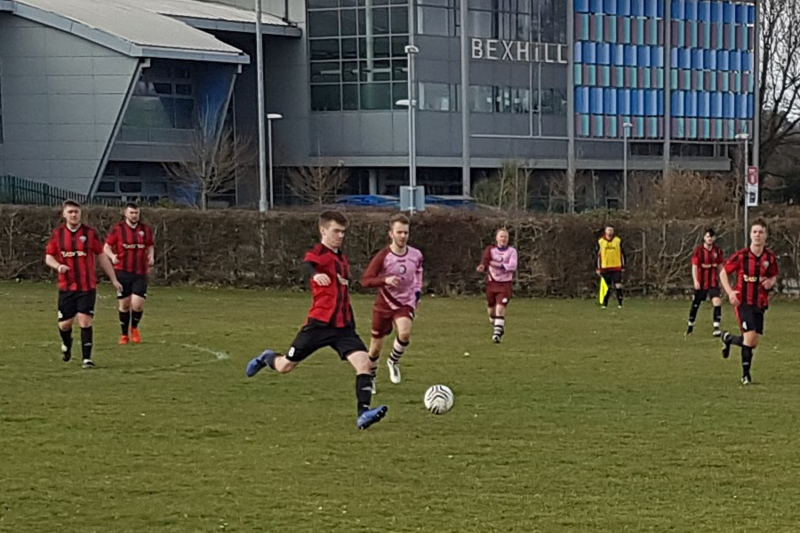 On the sidelines South Coast’s management team were instructing their squad that it was time for the big players to materialise and that’s exactly what happened. 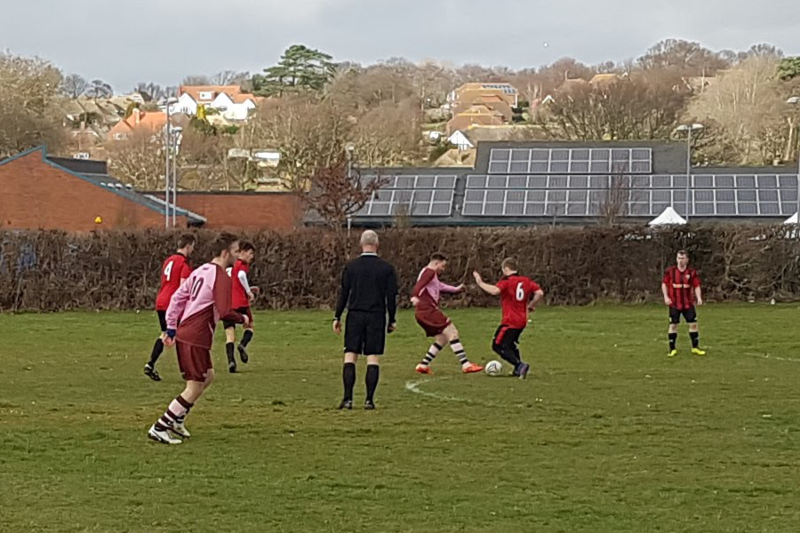 Connor Smith owned his side of the pitch and Bradley Owens began to dominate in midfield increasing his work rate dramatically to help gain further possession. 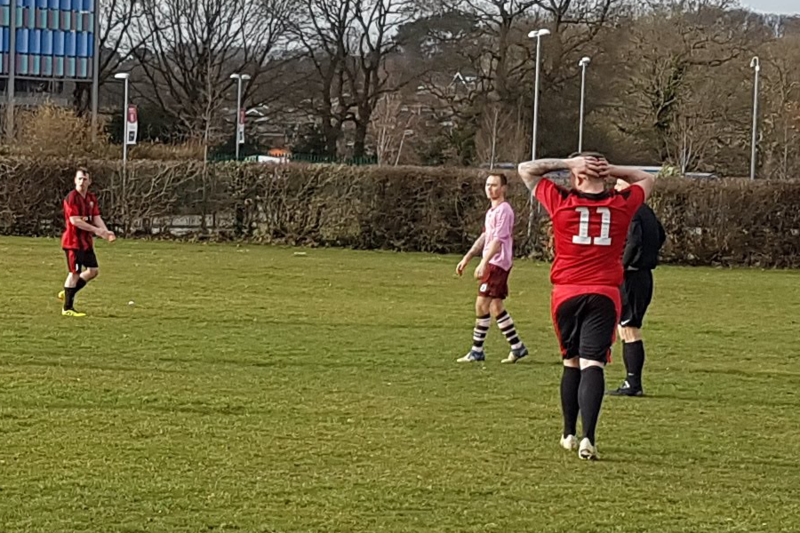 Ryan Penny battled for everything he could, as did Byron Nichol whilst Jack Bloomfield and Lee Finnigan kept applying pressure in the Chopbacks’ final third, but the final shots were lacking. The deadlock was broken on the 64th minute when Bloomfield crossed to Easton who was positioned 13 yards from goal. Easton headed the ball behind him, spun round and followed the ball. While the Bronco’s keeper seemed to get a hand to the ball he couldn’t control it. Easton put everything into the 50-50 challenge and physics won, resulting in Easton nodding the ball towards the net as a defender pressured him. Time seemed to stand still as the ball appeared to cross the line but a Broncos defender on the line looked like he’d keep it out until Easton scrappily stumbled it past into the inner side netting removing any doubt. Typically, the breakthrough fired up Athletico and the football began to flow. There were a couple of key defensive moments at the other end preventing Broncos having a chance to equalise, notably Callum Homewood with a clinical thunderous challenge on a Broncos attacker preventing a one on one with Coasts’ goalkeeper Ben Tate. 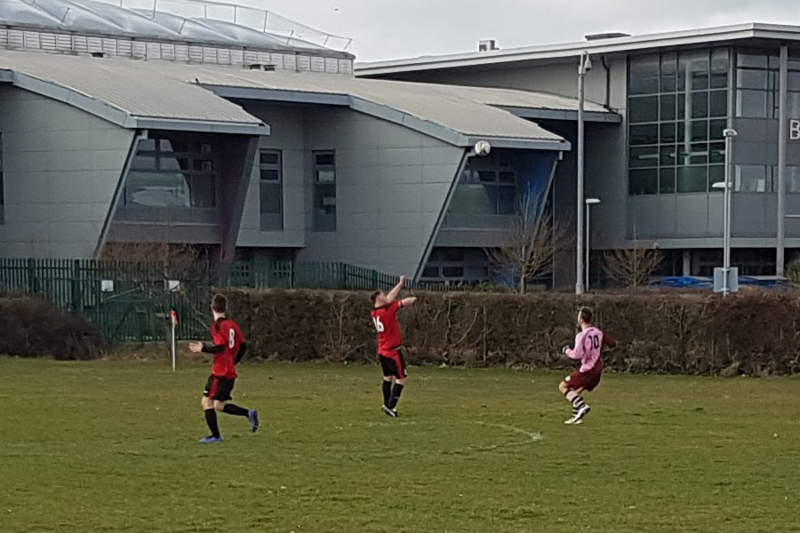 Athletico captain, defender Dayle McGurk made several skilful runs penetrating Broncos’ defence from his own half, although couldn’t capitalise. Athletico carved out chance after chance, but the shooting was not there on the day. The full time whistle sounded and the Chopbacks celebrated a solid well deserved win. Talented Athletico midfielder Brad Owens won the accolade of man of the match. 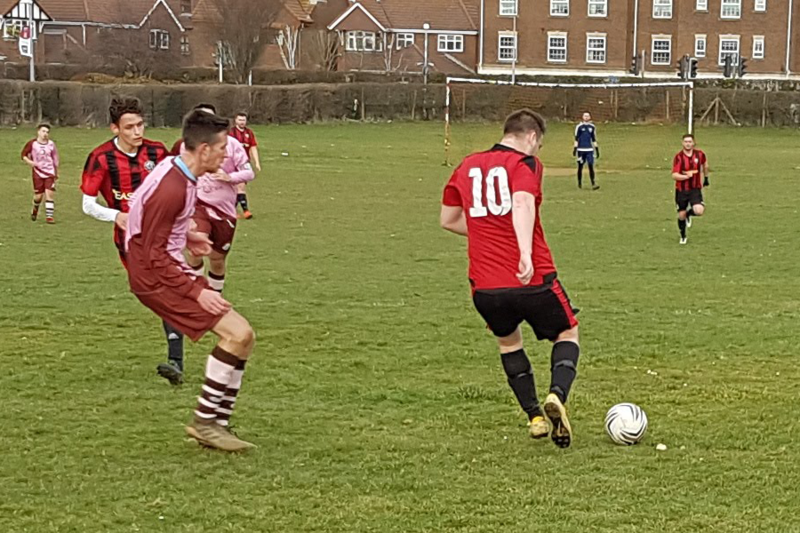 Next weekend sees South Coast’s final league game away to an impressive Bexhill Rovers who secured the league win outright last weekend after an impeccable season winning all but one game in their campaign. South Coast will be looking to take the points never the less.